Lauderhill Auto Body Shop - When an individual is involved in an auto accident, the last thing in the world you need is more stress and hassle. When an individual is involved in an auto accident, the last thing in the world you need is more stress and hassle. At City Collision Center, we want to take care of you to make sure that the only feelings you leave with from our facility are satisfaction in unsurpassed commitment to craftsmanship, customer service and quality. 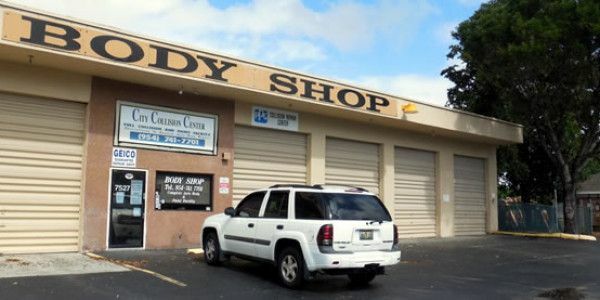 Our team at City Collision Center is committed to providing the upmost committed service to citizens of Broward County in auto body repair, whether it be auto body collision repair, or simply vehicle reconditioning. Customers and fleet services from Lauderhill, Tamarac, Lauderhill Lakes, Fort Lauderdale, Sunrise, Pompano and throughout Broward County trust us with their auto body repair needs. Their trust comes from our talented, ASE certified staff, and our state of the art auto body shop which allows us to provide unparalleled quality service that keeps our customers coming back for their auto collision repair.